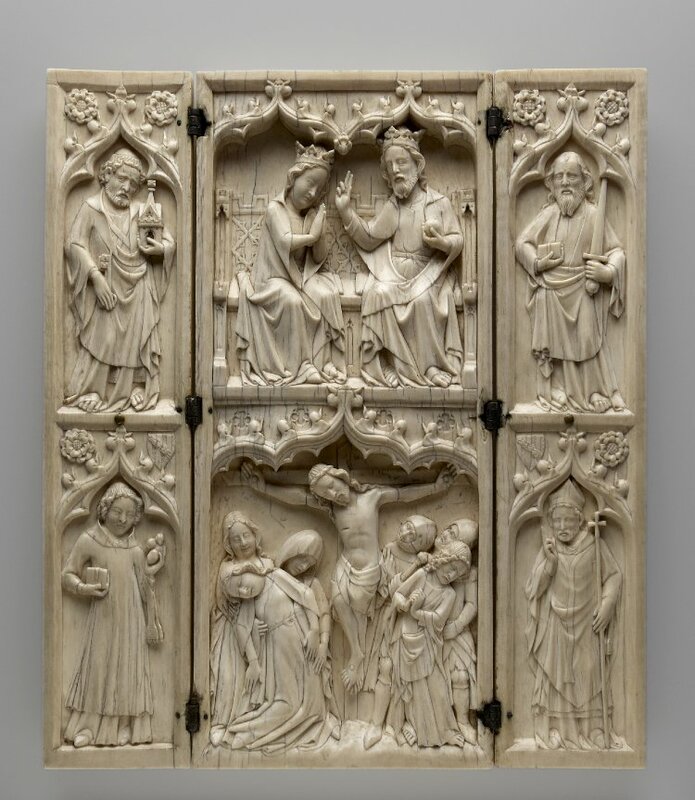 Triptych; elephant ivory, silver hinges, 1330-1340, Made in: England (probably Exeter), Acquired 1861, Copyright Trustees of the British Museum. The UK ban was driven by concern for the thousands of elephants still being killed by poachers in Africa each year, despite promises to halt imports by China, Vietnam and other South Asian countries that are acknowledged to form 95% of the world market for ivory. The ban will cover not only raw ivory and recently-made items, but also will eliminate trade in the majority of antique, ancient, Islamic, and Asian objects containing ivory. Legislation is expected to be introduced soon to meet the terms of the proposed ban. A near complete ban on the trade in objects that are made of or include ivory will, with certain very narrow exceptions, end the UK ivory market. Bracelet with Portrait Miniatures, detail, 1860-1870. The Walters Art Museum, Baltimore, USA. The six segments of this bracelet feature miniature portraits of three Mughal emperors and their consorts. There are some exceptions to the bans on sale. 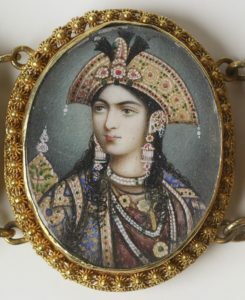 Portrait miniatures over 100 years of age are not covered by the UK ban. Musical instruments with no more than 20% of ivory by volume, that were made before 1975, are also allowed to be sold. So are objects made before 1947 with a minimal ivory content (such as some inlaid furniture). 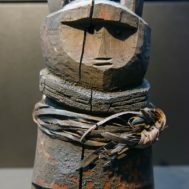 However, such pre-1947 objects may not be more than 10% ivory by volume, a very narrow limit, and there is no simple way of accurately determining the percentage of ivory in a work of decorative art or piece of furniture. The exceptions that allow sale are not only strictly limited; they also may be complicated to meet. The net result of passage of this legislation is likely to render millions of ivory objects, including antiques, worthless in the UK. The UK government is offering no compensation to people holding ivory, rendering most privately held collections valueless. There will be a time period between adoption of the new law and its implementation in which items that do not meet the exceptions could be sold, although it is unclear who would purchase ivory under these circumstances. The ban is yet to be signed into law, but should be in place soon. A number of environmental and government constituencies have pushed to rapidly change the rules on ivory trade. A major international conference on the illegal wildlife trade will take place in London in October 2018, and sources said that it would be an embarrassment to the British government not to have passed the ban before the meeting. A charged political atmosphere surrounded consultations on the ban last year. A previously secure Tory seat held by Kensington MP Lady Victoria Borwick, who also headed the British Antique Dealers’ Association, was lost in the recent elections when her opposition to a complete ban covering all ivory antiques was portrayed as encouraging poaching. The new UK rules represent a significant strengthening of limits on ivory trade that the UK was already subject to as an EU nation. It is already illegal in Britain to trade in ivory objects made since 1947. Currently, neither the UK nor other EU countries export raw ivory. Especially since new laws were passed in the US severely limiting the ivory trade, the UK has been the world’s largest exporter of legally owned ivory, including carvings, ivory antiques and musical instruments containing ivory. The 11th century Horn of Ulf is a large elephant tusk which was carved in Salerno in Italy, probably by Islamic carvers. It belonged to a Viking nobleman called Ulf who owned large estates in Yorkshire. The Horn acted as a land deed marking the transfer of lands to the ownership of the Dean and Chapter of York. In the EU today, worked ivory cannot be exported unless it was acquired before 1976 and the person wishing to export the items has the burden showing proof of that date. 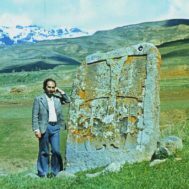 Commonly exported items included musical instruments, carvings, and antiques. Import of ivory into the EU is allowed only for hunting trophies and old carvings or musical instruments imported as personal belongings. Ivory trade within the EU has been limited to ivory items imported into the EU before 18 January 1990 for the African elephant and 1 July 1975 for the Asian elephant. Certificates issued by the relevant EU Member State were required, except for “worked items” acquired before 3 March 1947.
International trade in ivory and other endangered species has been regulated for decades by the Convention on International Trade in Endangered Species of Wild Fauna and Flora (CITES). In 2016, twenty-seven African elephant range countries – plus the US and China – submitted a variety of proposals intended to completely close down internal ivory markets by limiting trade under CITES. The CITES Convention, which has been in force since 1975, has been signed by 182 countries. It covers 35,000 animal and plant species. Listing a species in the CITES Appendices brings important public attention to its endangered status, and creates an obligation for governments to control its trade. The UK government has ensured access to ivory for public museum collections by allowing legal sales of all ivory items to museums and from one museum to another. There is also an exemption allowing sales of the ‘rarest and most significant items of their type’ of antiques over 100 years of age. 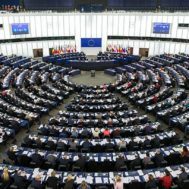 This raises an interesting question: the objects that fit this “rarest and most significant” category will have to be decided upon by experts, and if the experts are from museums, they could have a conflict of interest. If the committee rejected an object as insufficiently rare and significant, then the only possible buyer would be a museum. Market representatives say that the worthy goal of preserving elephants from extinction requires halting trade in poached tusks, not antiques and ancient art. Antique items were almost all legally acquired and will remain legal to possess, but not to sell. Owners of private collections who have no interest in selling them, however, will have increasing difficulty in preserving them for the future. There are limits to how many objects museums will be willing to accept, even as donations. Britain’s Prince William, Duke of Cambridge, has been a vocal advocate for a complete ban on ivory and is said to have argued for the destruction of antiques and ancient ivory artworks in the Queen’s possession. Historians, museums, and others have expressed great concern that objects without value will be destroyed as a result of the ban. As current possessors lose interest and dealers dump objects too risky or troublesome to sell, the new law’s failure to cover a broad range of antique items means will likely result in the disappearance and destruction of hundreds of thousands of less ‘significant’ antique items. The widespread public stigma of ivory ownership and the loss of commercial value will inevitably mean that objects will not be preserved. In turn, this will restrict access to historical materials by scholars as well as the interested public. Steve Oberholtzer, USFWS Special Agent in charge, talking to reporters prior to a Fish and Wildlife Service ‘Ivory Crush’ to destroy seized items in Colorado in 2013. Photo Credit: Gavin Shire/USFWS. The planned UK ban is in many ways even more strict than US ivory import and trade laws. Under US federal law, strict criteria defining ‘Endangered Species Act (ESA) antiques’ are required to allow interstate trading. 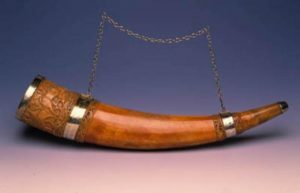 If criteria demonstrating age are met, the US ban exempts items older than 100 years, and there is also an exemption for items not made entirely of ivory (see below). In the US, the most recent changes on ivory were codified under the Code of Federal Regulations, Vol. 50, Section 17.40(e). These were added to layers of existing laws that work together with CITES, to which the US is signatory. These are the African Elephant Conservation Act (AfECA), which imposed a moratorium on the importation of African elephant ivory, and the Endangered Species Act (ESA) of 1966. In the US, the legislative focus was on prohibiting all commercial importation in order to remove any possibility that a US ivory trade would trigger poaching. Export and interstate trade in lawfully acquired, genuine antiques is generally allowed. However, some US states have enacted state-based ivory laws that restrict trade even further than federal laws. States in which there are very restrictive ivory laws banning even intra-state trade include New York, New Jersey, California, Washington, and Hawaii. In US states in which there is no such state ivory law, legally–owned ivory can not only be possessed by an individual without the concerns for maintaining detailed documentation (and having always to be wary of ill-informed or overzealous officials), it also can be sold, traded, or otherwise transferred in-state. There is also a limited international market in legally imported, legally owned ‘ESA antiques,’ taking place fully within the parameters of federal law. A CITES Pre-Convention Certificate is also required. 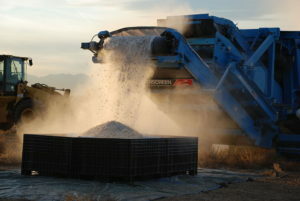 USFWS ivory crush at Rocky Mountain Arsenal National Wildlife Refuge on November 14, 2013. Photo Credit: Kate Miyamoto/USFWS. 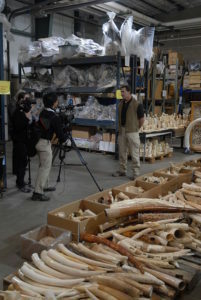 There is also a de minimis exception under US law if seven requirements are met, including that the ivory was imported prior to January 18, 1990, or taken from the wild prior to February 26, 1976; that the ivory does not account for more than fifty (50) percent of the value of a larger item, is not raw, weighs less than 200 grams, and the item was manufactured or handcrafted before July 6, 2016. The US, like the proposed UK regulations, also make an import/export exception for musical instruments, but the ivory must still have been legally acquired prior to February 26,1976. This exception is for non­commercial use only. Additionally, there is a US exception for traveling exhibitions and for limited items in a household move. Also, there is an exception for sport-hunted trophies allowing two African elephant sport-hunted trophies to be imported by any hunter in a calendar year.